UK Van Life Blogs List. The Best UK Van Life Blogs from thousands of UK Van Life blogs on the web using search and social metrics. Subscribe to these websites because they are actively working to educate, inspire, and empower their readers with frequent updates and high-quality information. UK Van Life newsletter is a comprehensive summary of the day's most important blog posts and news articles from the best UK Van Life websites on the web, and delivered to your email inbox each morning. To subscribe, simply provide us with your email address. United Kingdom About Blog We're Theo and Bee and we began documenting travelling Europe in our converted VW T4 LWB van (Belthy) in June 2014. Previously going by the name VDubVanLife, we've evolved to include many different aspects of our lives and travels, as well as other fantastic people we meet along the way. Facebook fans 12,804. Twitter followers 2,447. Uk About Blog Hello and welcome to Otis and Us. I am Katy, I am wife to Mr S and together we have 3 beautiful children. Otis is our campervan and this is our family travel blog - sharing all of our family travels and adventures. Facebook fans 422. Twitter followers 2,176. United Kingdom About Blog Hi there! I’m Kat. In 2018 I decided to quit my job & travel the world with my husband & teenage daughter… What could possibly go wrong?!?! We mostly travel by RV, which consists of getting lost, stuck or eating too many snacks. We like snacks. We occasionally fly somewhere, just to mix things up a bit. Facebook fans 1,688. Twitter followers 996. Leyland About Blog Welcome to our Blog! Follow our adventures in our Campervan called Absinthe, as we travel the world. Absinthe is a Brazilian (Sao Paulo) built 2011 Volkswagen T2 Kombi. She was imported into the UK and converted into a campervan by Danbury, a company based in Yate near Bristol. Facebook fans n/a. Twitter followers 566. UK About Blog Hi, We have set up campervanculture.com to capture some of our adventures. These are our adventures, mishaps, photos, videos, mistakes and good times. This is all just our take on this culture. Facebook fans 31,099. Twitter followers 1,071. Llangaffo, Isle of Anglesey About Blog After many years of living on the south coast and with the children grown up, we decided to upsticks, downsize and move to Cheshire. We've since retired and move to the beautiful island of Anglesey. Around sorting out our new home and exploring North Wales, we'll be spending several months of the year travelling around Europe in our campervan. New Forest, England About Blog Family Campervan Travel with a Family of 3 - Tips, Tricks and Great Trips, reviewing campsites, and all things camping along the way. Join us!! England, United Kingdom About Blog Meet Tom and Chloe as they travel the UK and Europe in their VW Campervan Panda. Follow their blog to keep up to date with where they are and what they are doing. Facebook fans 643. Twitter followers 16. 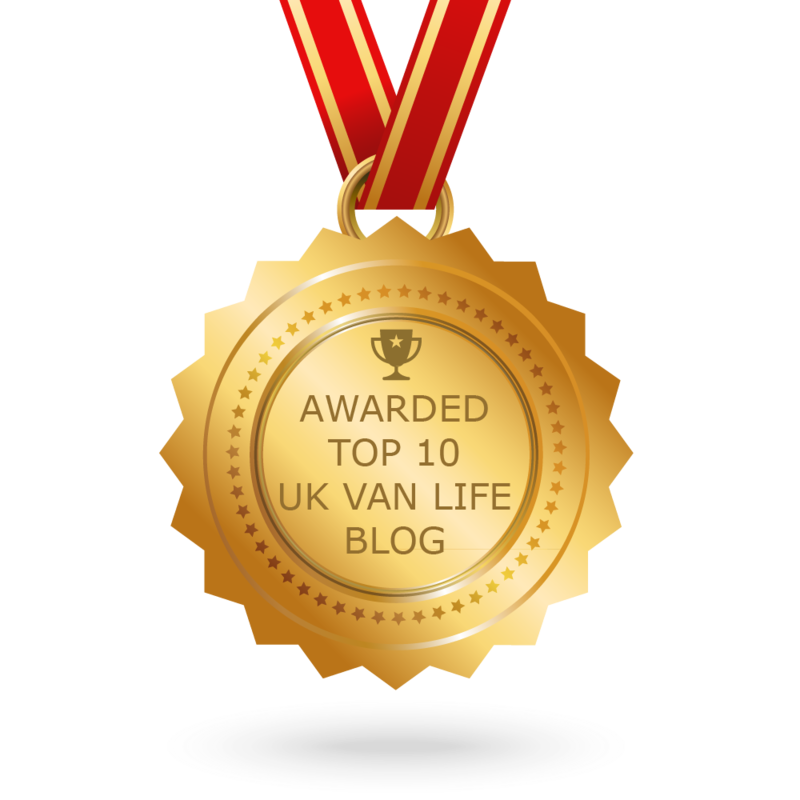 CONGRATULATIONS to every blogger that has made this Top UK Van Life Blogs list! This is the most comprehensive list of best UK Van Life blogs on the internet and I’m honoured to have you as part of this! I personally give you a high-five and want to thank you for your contribution to this world.